Standing alone at the Lowhrs’ party, Anna Mackintosh thought about her husband Edward, establishing him clearing for this purpose in her mind’s eye. 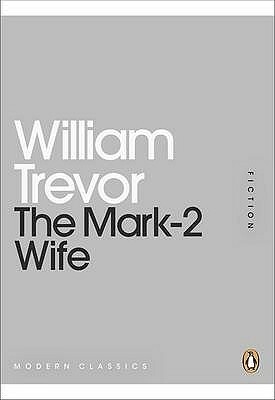 William Trevor has been acclaimed as the greatest contemporary writer of short stories in the English language, likened to Chekhov for his insights into human nature. These three tales of obsession, heartbreak, silent sorrow and the small tragedies of ordinary lives are profound, immaculate and beautiful. The Mark-2 Wife is a collection of three ‘slice of life’ short stories. They aren’t life-altering, and they aren’t science fiction (I may or may not have been misled by the science fiction-esque title), but they still made a brilliant and quick little read. I’ll be sure to post a review over the weekend, as I’m still pretty hyped from reading it! Check out the First Lines Fridays archive for more posts like this one.